Platinum Point (PP), an award-winning business networking group kindly chose OLLIE as their charity of the year back in April 2018. The benefits of this are too many to count individually but there are two important ones we need to mention. 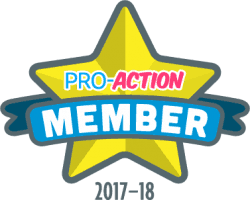 Firstly, OLLIE will have access to the expertise of all of PP’s members free of charge. Secondly, they will be organising fundraising events to help support OLLIE financially. 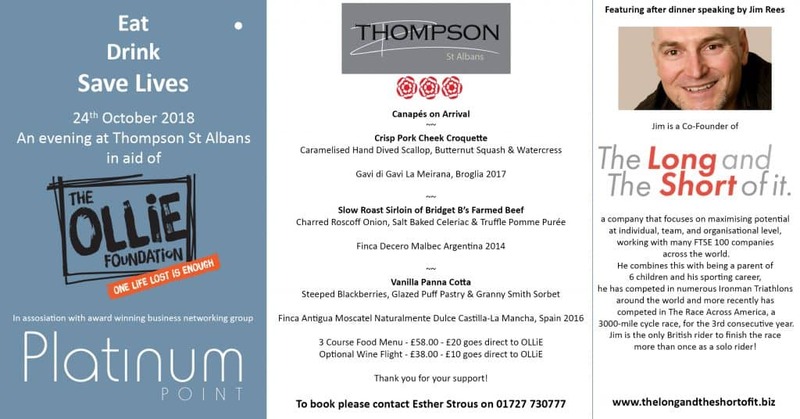 Amongst the members many connections are a working relationship with Thompson St Albans, a 3 AA Rosette Restaurant. 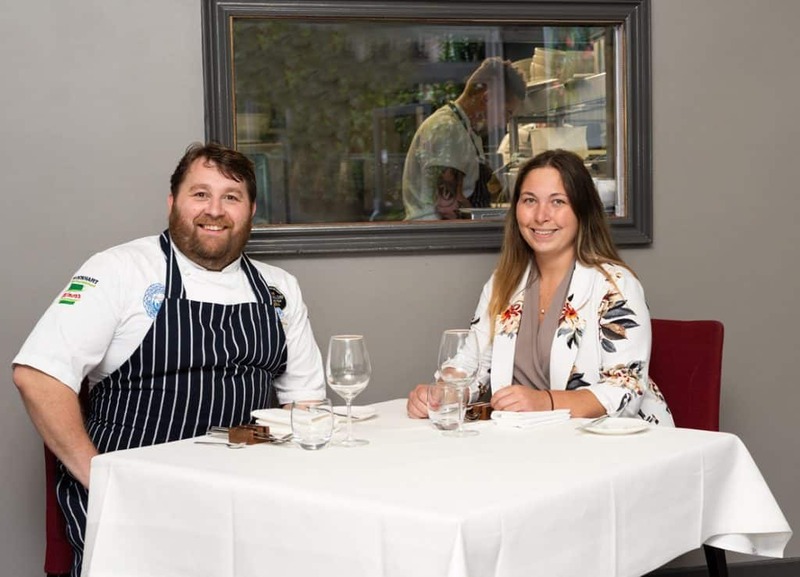 Their menus are constantly changing, influenced by Phil Thompson’s classic training, his culinary style and his own modern twists. The evening will be held on 24th October and feature a 3-course meal with optional wine flight. The evening will also feature guest speaker Jim Rees, Co-Founder of The Long and The Short of it. Jim is an Author, an Ultra Cyclist and Executive Coach who offers motivational speaking, 1:1 coaching and leadership alignment.